For five days (31 August - September 4, 2018), His Eminence Archbishop Daniel of the Ukrainian Orthodox Church of the USA along with over 100 Orthodox Metropolitans and Archbishops of the Ecumenical Patriarchate from all over the world gathered in Constantinople (Istanbul, Turkey) in order to participate in a Synaxis (Assembly) of the Hierarchs of the Ecumenical Patriarchate convened upon the invitation and under the Presidency of His All Holiness Ecumenical Patriarch Bartholomew. 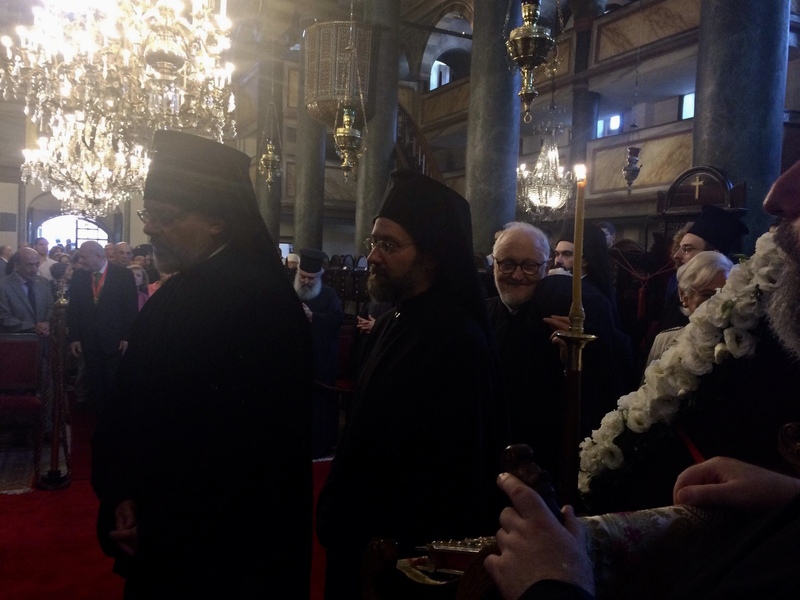 The meetings of the Synaxis began on September 1, 2018 following the celebration of the Divine Liturgy at the Patriarchal Cathedral of St. George in Constantinople (Istanbul) Turkey. The formal plenary sessions began at Holy Trinity Church in Taksim Square and will continue through September 4, 2018. In his opening remarks, greeting the hierarchs of the Church, Ecumenical Patriarch Bartholomew stated: “…All of the eparchial Hierarchs of the Mother Church, who represent the pious clergy and Christ-loving people of their eparchies, eagerly hastened to respond to our personal invitation and the fervent invitation of the Mother Church to participate in the deliberations of this Synaxis in order to fulfill their ecclesial and hierarchal duty, while at the same time demonstrating their sentiments of love and devotion to the Ecumenical and First Throne of the Orthodox Church, to which they belong canonically and ecclesiastically. On Friday afternoon (31 August, 2018), prior to the beginning of Great Vespers for the feast in commemoration of the New Indiction and Synaxis of the Sacred Icon of Panaghia Pammakaristos, which is treasured in the most venerable Patriarchal Church, His Eminence Archbishop Daniel visited one of the Orthodox Christian cemeteries in Constantinople - on the grounds of Patriarchal and Stavropegic Monastery of the Life-Giving Spring in Baloukli, a place of final rest of numerous Patriarchs of the Ecumenical Throne. 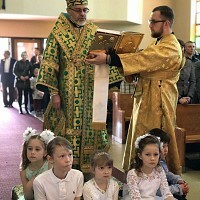 Vladyka Daniel venerated the grave of Patriarch Athenagoros of blessed memory, who showed an incredible kindness to the Ukrainian Orthodox Church in Diaspora throughout his Patriarchal service in the Great Church of Christ. On September 1, following the Divine Liturgy at the Patriarchal Church of St. George, His All Holiness, followed by all the hierarchs, in keeping with an impressive and centuries old tradition, signed the Act of the New Indiction marking the beginning of the Ecclesiastical New Year. 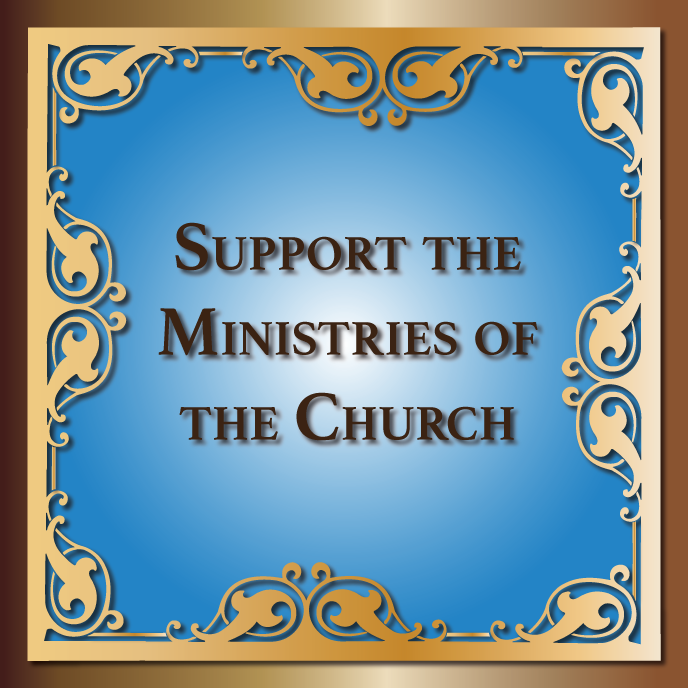 In addition, this day is also set aside by the Ecumenical Patriarchate as one of prayers for the preservation and protection of the natural environment, which is observed by all sister Orthodox Churches in the world. More than 100 hierarchs signed the Act of Indiction, in order of seniority, beginning with His All-Holiness Ecumenical Patriarch BARTHOLOMEW and continuing to the most recently consecrated ruling bishop. 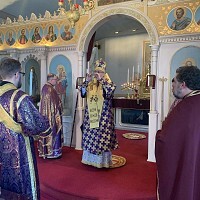 His Eminence Archbishop Daniel is scheduled to return to the United States of America on September 3, 2018 in order to be able to celebrate the first Divine Liturgy of the New Academic year with the Seminarians of St. Sophia Ukrainian Orthodox Theological Seminary on Septembr 4that 7AM and to prepare to depart for Brazil later that evening for the celebration of the 25thAnniversary of Archpastoral consecration of Archbishop Jeremiah of South America.